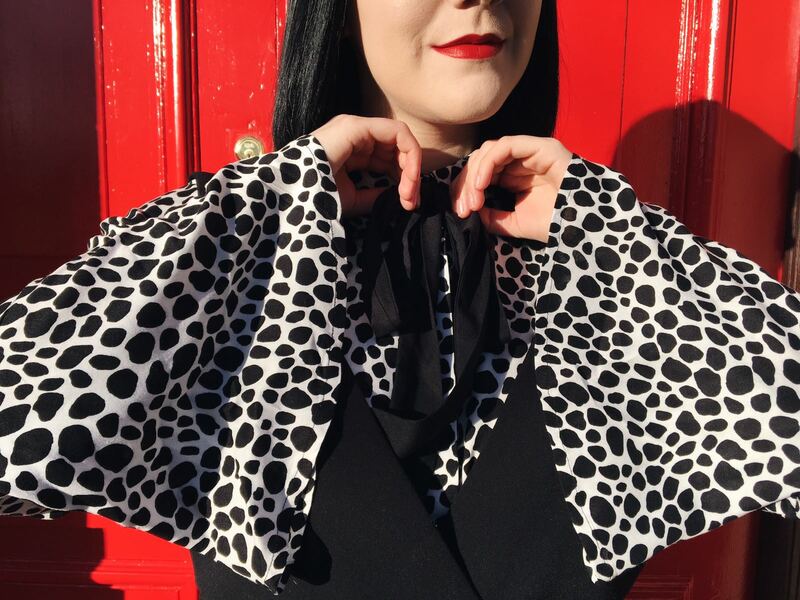 An all time favourite of mine is flared sleeves, or bell sleeves. I never ever thought I'd be able to pull them off, they are the sort of thing I adore on everyone else but think I look daft in. 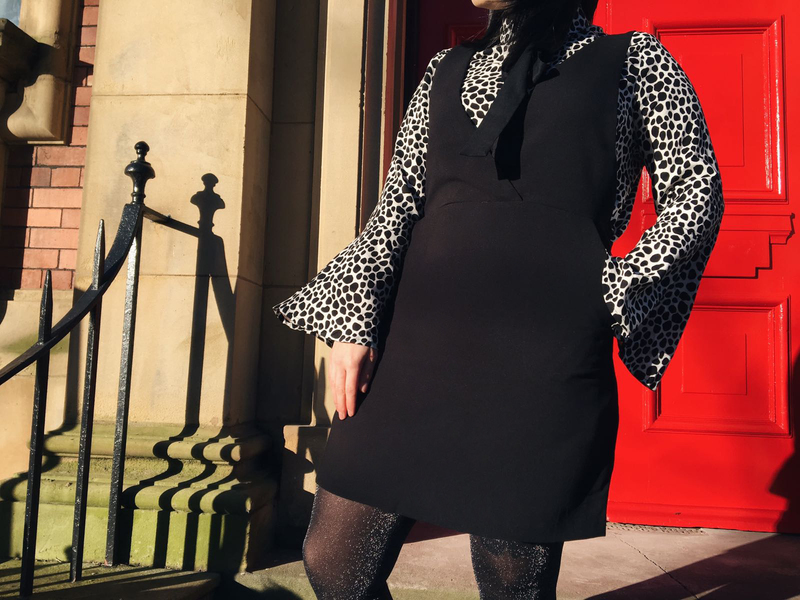 I love the sort of seventies vibe they give so I thought I'd incorporate a seventies theme in my latest outfit post... and this post is one of those "look what I bought in the sales over Christmas!" posts, and I'm not even bothered. 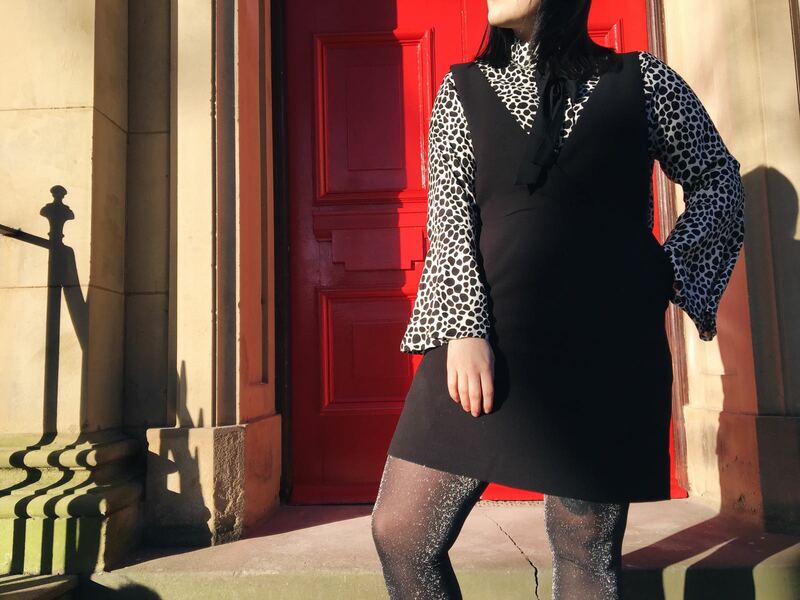 When I first started working at H&M I had my eye on this amazing pinafore dress, it's A line skirt drew me in, as it was completely different from any pinafore dresses I'd seen before! I knew that this could be styled for casual wear, or dressed up smart. 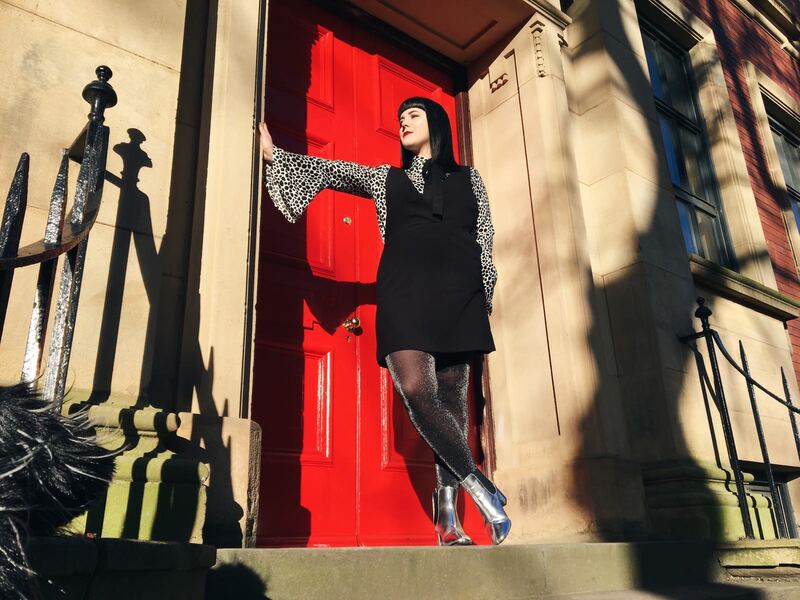 I actually forgot about this dress until it cropped up in the sale, totally wowing me once again and it was discounted, bargain. 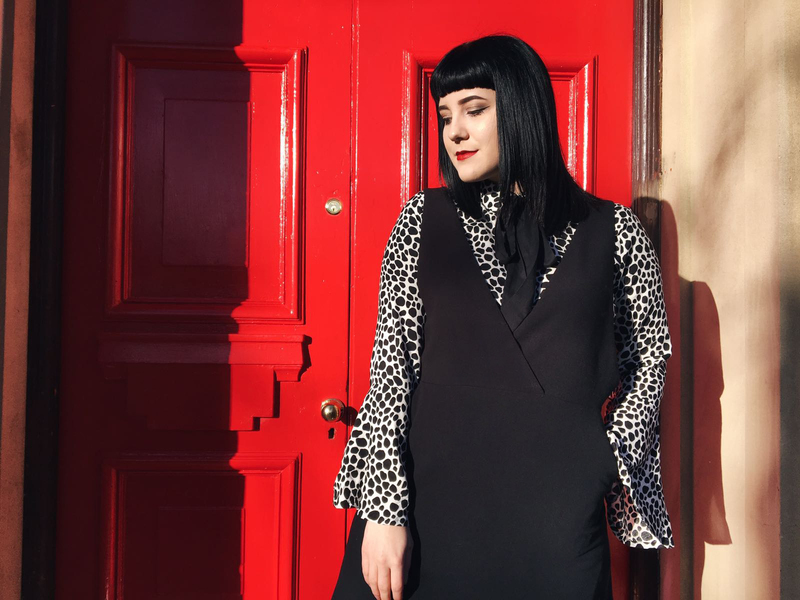 When gathering ideas for this post I knew I had to style this dress with something with bell sleeves, but I only own black items with bell sleeves... Until I realised I had a beautiful dress with lovely big bell sleeves and a cute as hell neck tie. So, my choice of top for this outfit is actually a dress! 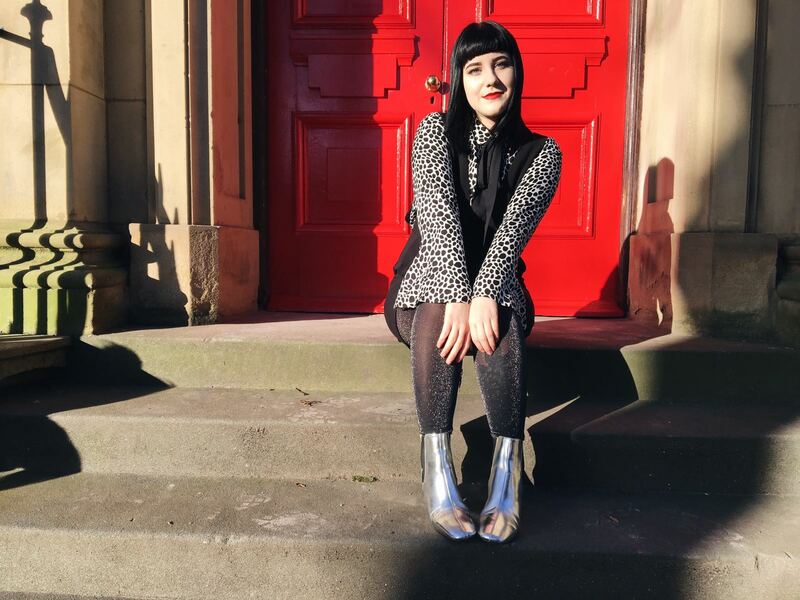 Another item I found in the sales was these amazing silver boots, these also give off an amazing seventies vibe, bringing in the outfit perfectly. These were sort of a nervous buy, I don't normally opt for clothing and shoe items this outrageously bright but I love them very much. They are very comfortable and I found unlike most shoes I didn't have to wear these around the house beforehand, to get some wear into them. 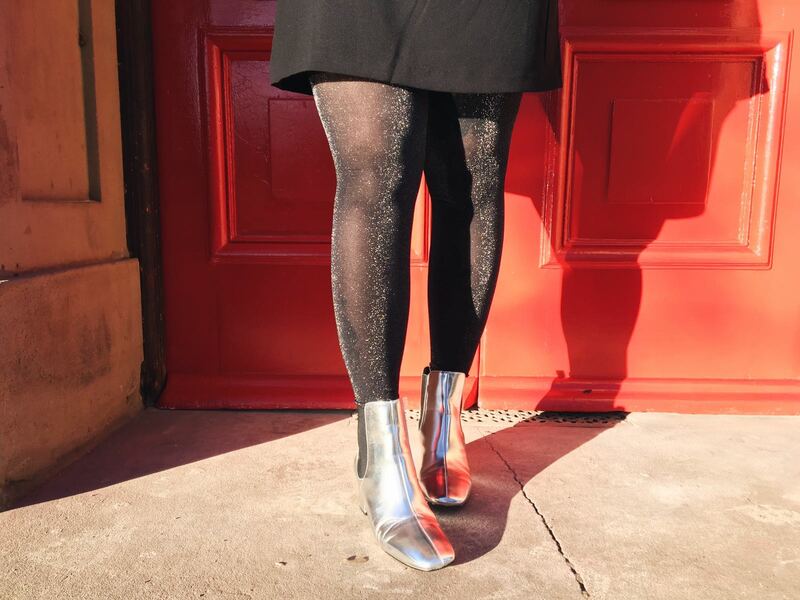 They also are elasticated on the sides so they are easy to slip on and off. I do feel like in this outfit I should be strutting around London mid seventies, with a tonne of shopping bags in hand. It's not something I normally wear... but one thing I want to do in 2017 is bring new elements into my style. I absolutely love this entire look! 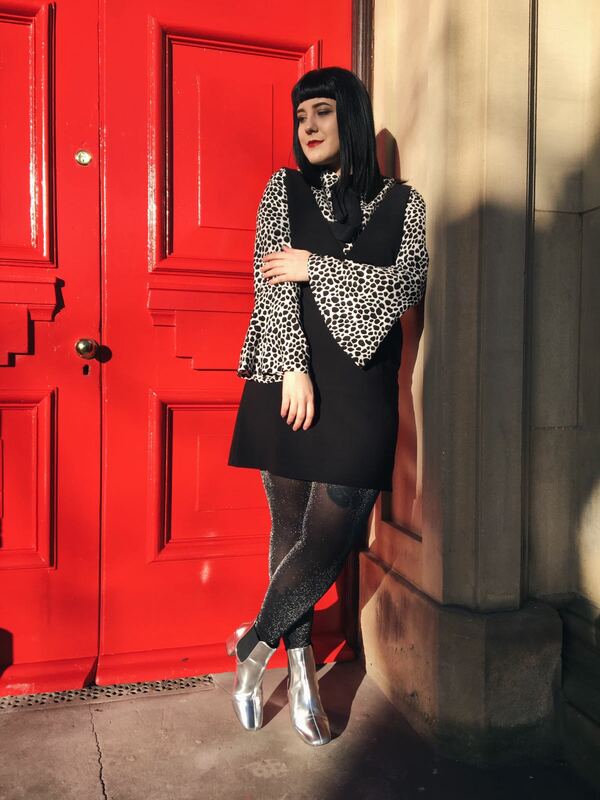 I do ever so slightly love the tights most of all but honestly, every piece is fantastic and it just comes together so well! Ahhhh I LOVE this look!! 💕 I love taking inspiration from different decades! WHY ARE YOU SO CUTE?! Seriously amazing I am living for this look! This look is gorgeous! 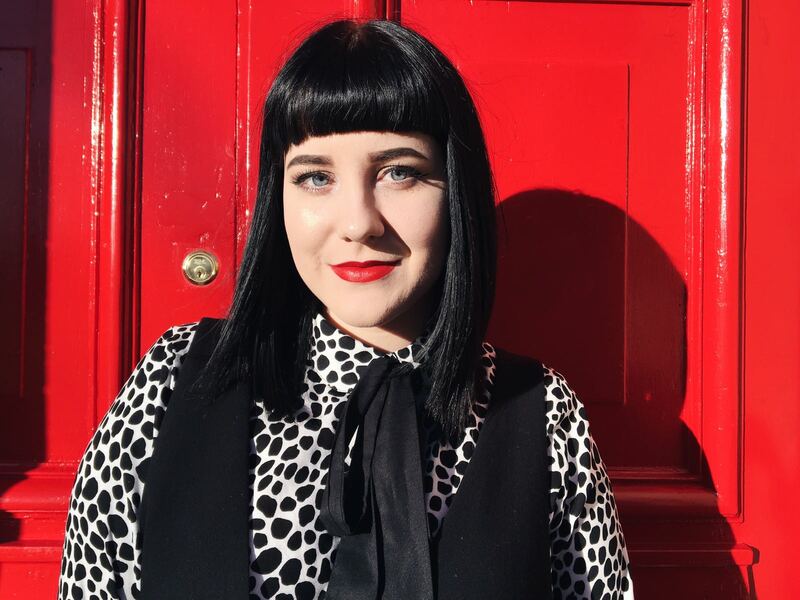 You are so beautiful and I am a fan of your blog!!! Oh my god this look is incredible!!! !